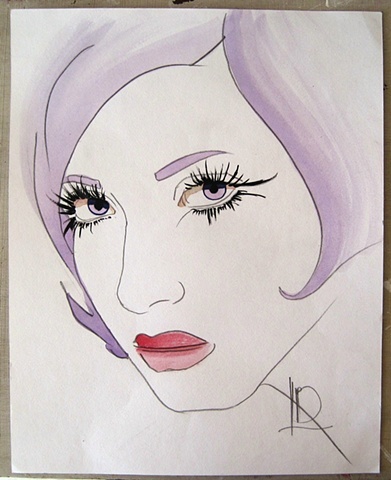 This watercolour sketch is of a gorgeous woman, with very long eyelashes. Her eyes are violet- like her hair- and her lips a soft matte red. The sketch was a colour study for an oil painting.